ConX | Blog | Concrete Calculator - How much concrete do I need? Concrete Calculator - How much concrete do I need? If you’re staring at a set of plans thinking “how much concrete do I need for this slab” well then keep reading this blog is for you. In a couple of easy steps you can calculate the amount of concrete required for a job. 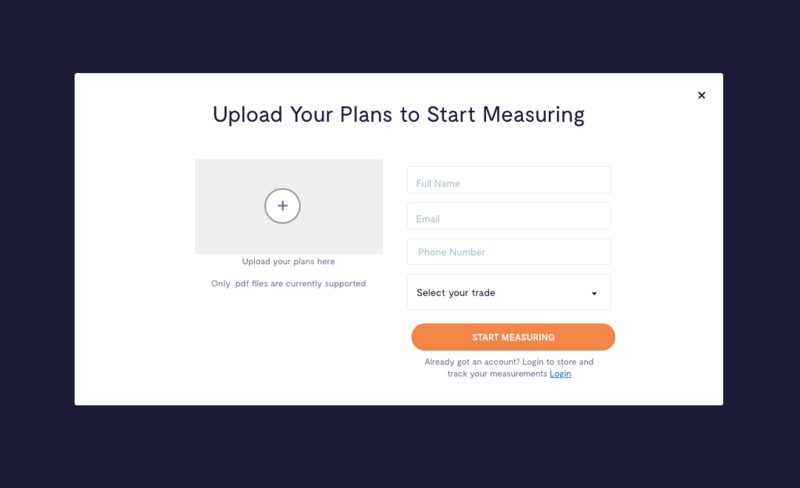 Step 1: Head over to ConX Measure - www.conxjobs.com/measure and click “UPLOAD PLANS”. Pop your details in, and then locate you plans on your computer, if the plans are attached to an email make sure to click ‘download’ then you can find the file in ‘downloads’ folder. Step 2: Adjust the scale of the building as per the drawings/plan. In the top left hand corner you’ll see the scale. 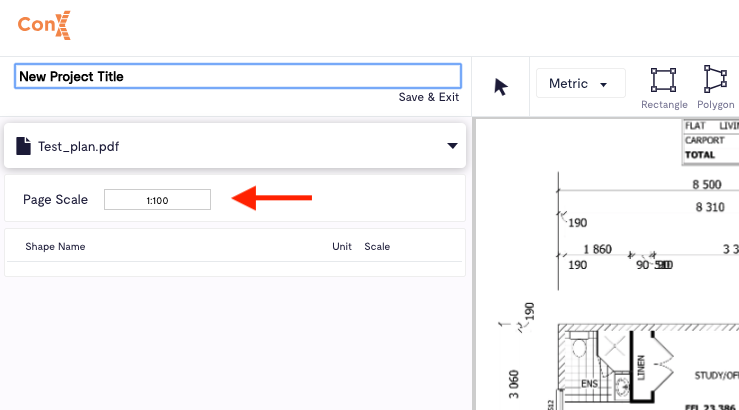 If your construction drawings have different scales on different pages, you’ll be able to change the scale again for different measurements. You can also rename the project. If you are in the US, you'll be able to set it as per your convention (eg. 1/8"=1"0). Step 4: Once you've complete all the measurements you're now ready to export the measurements to Excel/Numbers/Google Sheets or whatever spreadsheet program you use by clicking ‘EXPORT TO EXCEL’, which is located in the bottom left of the screen. Once it’s downloaded open the file. Step 5: Once we’ve opened the file, we’ve got to add some new columns in order to calculate the volume of concrete required. First select the column with “QUANTITY” then create 2 new columns to the right of this column, on Pages click “Add Column After” OR for Excel click “Insert New Column Right”. Rename these columns ‘Depth’ and ‘Volume’. You should now have the volume of concrete needed. You can add a cost per cubic meter for the concrete to receive a total price, or edit the amounts in order to use this document as a quote. Your file should look something like the below image. Have you tried this? Tell us what you think in the comments below, or do you have a better way? Let us know.